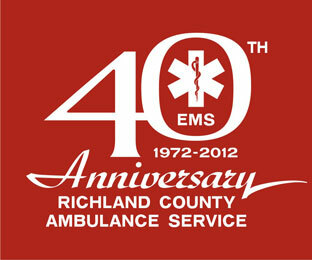 The Richland County Ambulance Association would like to say Thank You to everyone who came to our 40th Anniversary Pancake Breakfast. It was a HUGE success in so many ways! The show of support and encouraging words mean so much to us. We are very proud to be celebrating 40 years of service and very honored to have been able to celebrate this milestone in our squad’s history with our community. All proceeds will go towards continuing education for our members, new computer equipment and facility upgrades.